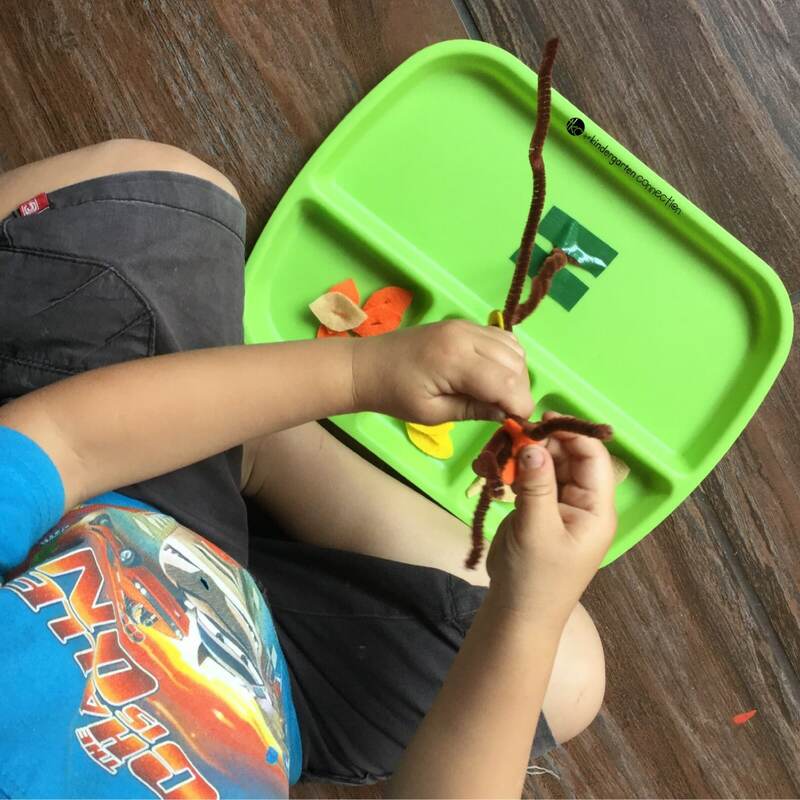 Fall is in the air, and that means we are ready to pull out some fun seasonal and themed learning activities for the kids. 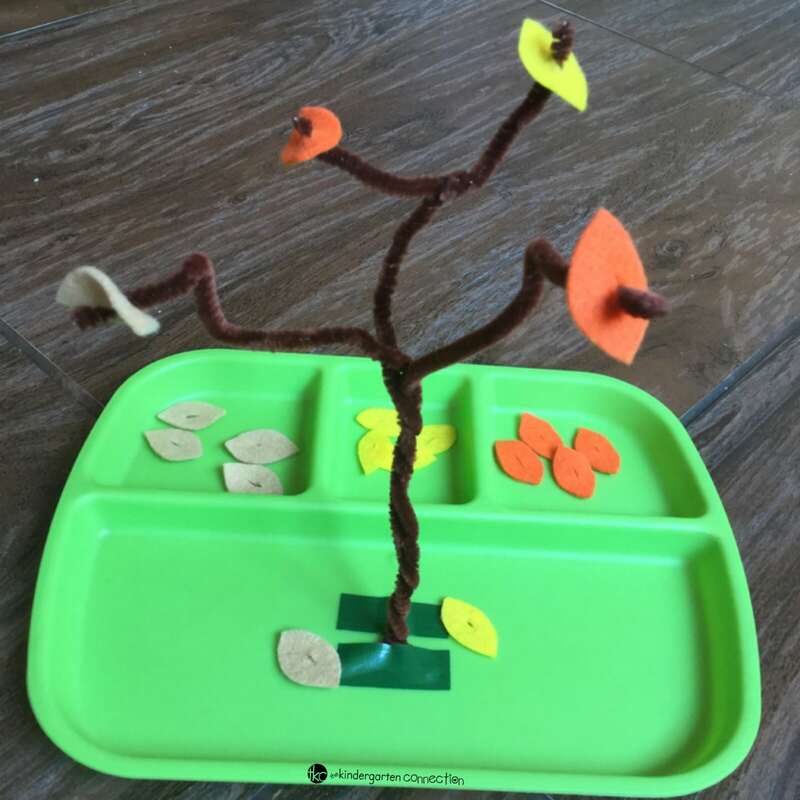 Today I am sharing a fun fall tree fine motor activity that is easy to set up and fun to play (and learn) with for your preschoolers or kindergartners. 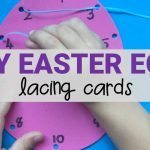 You can add playful counting, adding, and subtracting too! After you have all of the supplies ready, cut out leaves from the different color felt. 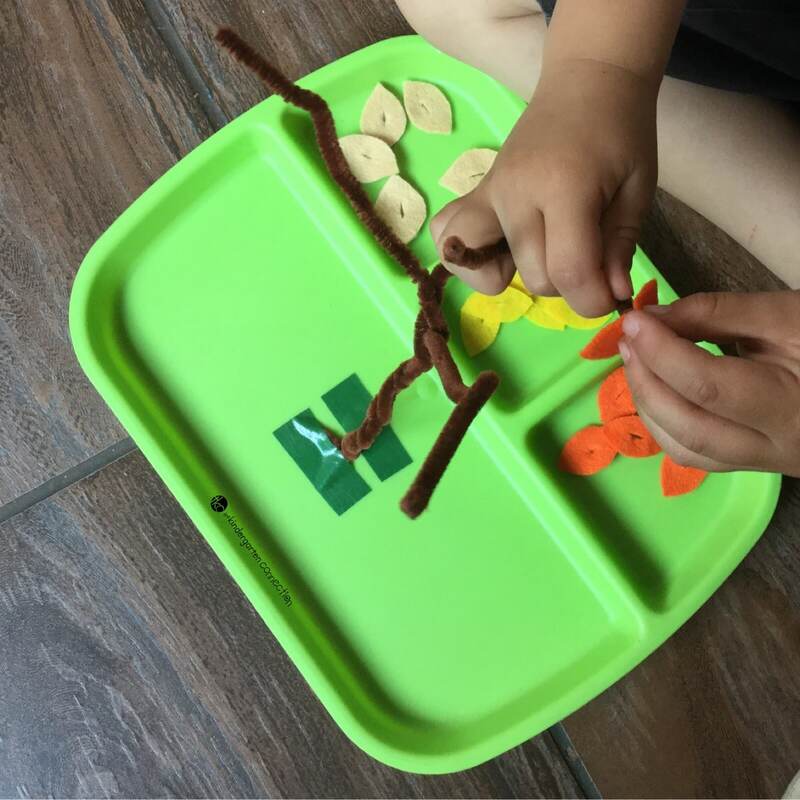 Bend the pipecleaners into a tree shape and attach to a tray using tape. Now you can play! Let the child add the leaves to the tree. 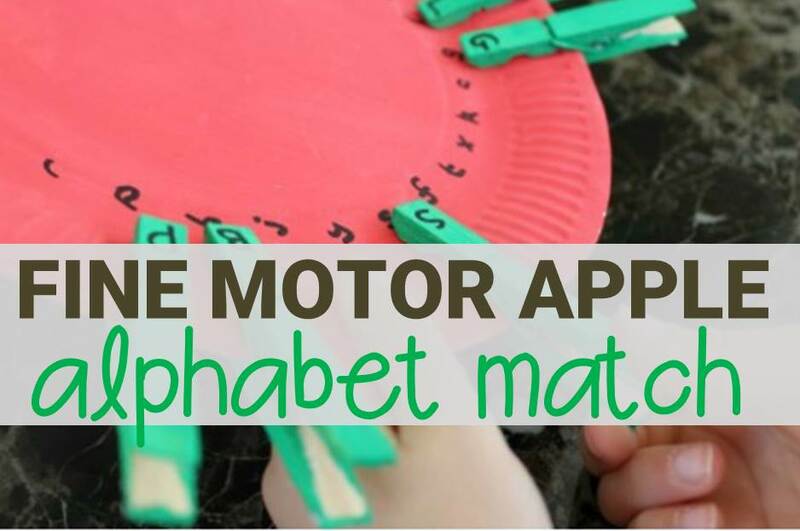 This could simply be an invitation to play, where fine motor skills will develop and you let the child independently explore. Or, you could give some guidance and ask him/her to add a certain number to the tree, group the colors together while working on visual discrimination skills too, or giving certain instructions (see below). Count the leaves to add to the tree and work on addition/subtraction. For instance: Add one of each color of the leaves to the tree. One leaf fell down, count how many leaves are left on the tree: 3 – 1, etc. 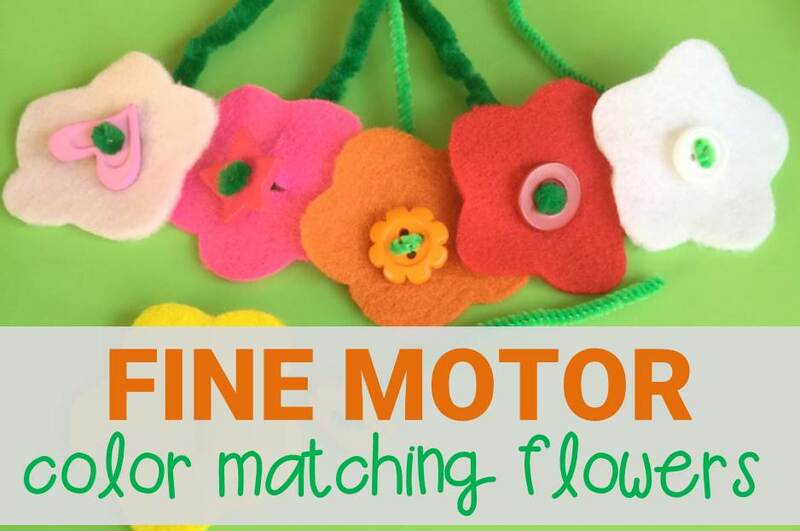 This is a fun fine motor activity one could adapt and use in your class or at home during autumn. It is sure to be a hit with your kids too! 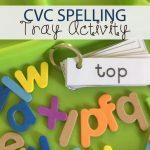 Looking for more fun, hands on activities to build fine motor skills and strengthen those writing muscles? Here are some of our favorites!